Instructions for adding an additional calendar in the Outlook Web App. NOTE: Additional calendars will not be included in free/busy times when someone checks your availability. 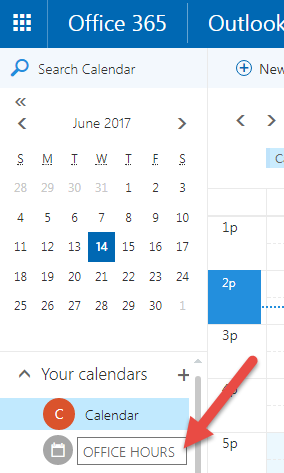 Only events on your default calendar are included in free/busy times. 1. Log in to Outlook Web App (OWA) by going to www.uwplatt.edu/go/email, selecting the orange Login button, and entering your username and password. 3. Right click "Your Calendars" and select "New Calendar"
4. 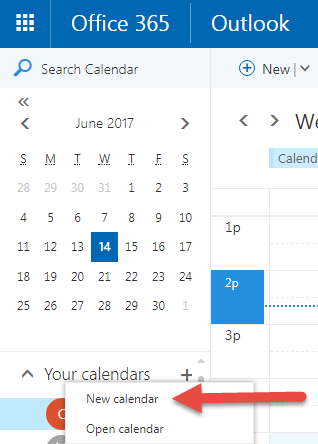 In the text box, title the calendar as you would like, and then hit "Enter."